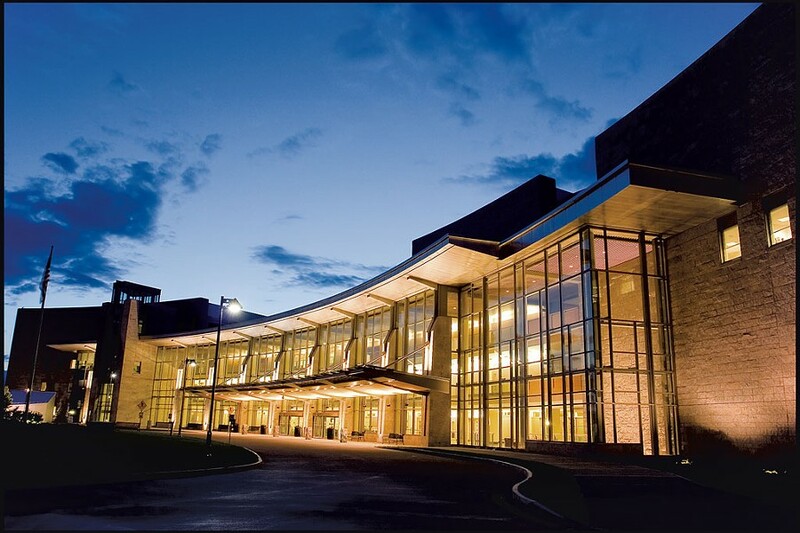 Members of the union representing nurses at University of Vermont Medical Center in Burlington have voted to ratify a new contract that guarantees every nurse increased pay in each of the next three years. "The vote was close," said Jason Serota-Winston, a nurse and member of the negotiating team for the Vermont Federation of Nurses and Health Care Professionals. The union keeps contract vote figures confidential, he said. Serota-Winston attributed the narrow margin to members' frustration that several key issues remain unaddressed in the agreement, including safe staffing and safe lifting. Also not in the contract: pay equity for nurses, whether they work in outpatient clinics or the hospital. The new contract raises all nurses' base pay by 1 percent in the first year and by a half percent in each of the next two years. Nurses haven't had base pay increases in either of the last two years, but had received a 1 percent increase in the first year of the most recent contract. The union deflected several benefit changes it said the medical center negotiators proposed, such as requiring nurses to accept work assignments in units needing staff — a practice known as mandatory floating. A medical center official refused to share the hospital's list of proposed contract changes, saying, "We negotiated in good faith and continue to confine our discussion of the issues to the negotiating table." The nurses' bargaining team had urged members to ratify the agreement. Laurie Aunchman, interim president of the union, said, "That was the best we were going to get." While pleased that a majority of members voted to support the contract, she also pledged to continue to work in other ways to address nurses' safety concerns. Hospital officials welcomed the nurses' decision to ratify the agreement, reached Sunday night after lengthy last-minute talks. "From our perspective, the negotiation process has led to a fair contract for both parties with pay and benefits for our nurses that are competitive in the market," said Mike Noble, medical center spokesman. 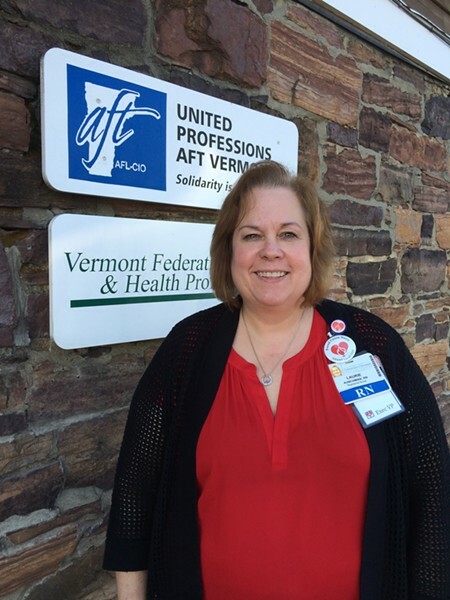 The two sides began negotiating on April 30 and held 13 sessions before reaching agreement on a pay and benefit package for the 1,800 nurses represented by the Vermont Federation of Nurses and Health Professionals. Union members voted on the plan over three days this week. The union set up polling stations in the hospital and at several of its outpatient locations. Aunchman said the two sides had agreed on little as the July 1 expiration date for the last contract approached. "That's not uncommon," she said, noting, "A lot of work is done in the final days." Still, labor colleagues sponsored an event June 24 to rally support for the nurses as the deadline for an agreement approached. Union representatives also presented their concerns to the hospital's board of trustees on June 18, warning they might strike if a deal failed to materialize. Aunchman told trustees that nurses had worked 47,000 hours of overtime the year ending March 31, 2015 — showing their commitment to patient care as well as the need for additional staff. Safe staffing was one of the union's negotiating sound bites, but the new contract doesn't include any new guarantees. Aunchman said the hospital has acknowledged the need for some additional staff. "They are hiring," she said. Nurses also raised concerns about the safe lifting of patients, but this issue also wasn't addressed by any new provision in the contract. Aunchman said hospital officials recommended that nurses bring specific concerns to the nursing practice councils on each unit. Aunchman cheered the progress the new contract made in raising pay for advance practice RNs. Under the old contract, their pay ranged from $34 to $54 hourly, which Aunchman said was 40 percent below the national average. The new contract gives these nurses an 18 percent increase over three years. "We made some headway and we will continue to work on that," Aunchman said. She said pay for other nurses was close to what Dartmouth-Hitchcock Medical Center in Lebanon, N.H. offers, and higher than Albany Medical Center in Albany, N.Y. The hourly rates for registered nurses in the last contract ranged from $23 for an RN in an outpatient clinic to $43 for an inpatient RN. Pay for licensed practical nurses ranged previously from $14 an hour to $33. "What the nurses were looking for,"Aunchman said, "was pay commensurate to the professionalism they bring to their work."